Mr. Harold Grant Smith, 70, of Richmond, passed away Wednesday, February 6, 2019 at Baptist Health – Lexington. 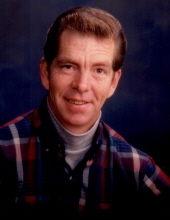 Mr. Smith, the son of the late Pascal Smith and Anna Young Smith, was born in Whitley County on April 19, 1948. He was an auto body repairman and loved to fish. He loved people and never met a stranger and was of the Christian faith. On November 19, 1965, Mr. Smith united in marriage to Shirley Lakes Smith. They recently celebrated 53 years of marriage. Funeral Services will be conducted at 1:00 PM Monday, February 11, 2019 at Combs, Parsons & Collins Funeral Home. Burial will follow in the Madison County Memorial Gardens. Visitation will begin at 11:00 AM Monday. "Email Address" would like to share the life celebration of Harold Grant Smith. Click on the "link" to go to share a favorite memory or leave a condolence message for the family.